The California Film Commission this week announced that 19 films have been approved conditionally for $52.2 million in tax credits. This is the fourth year of the tax credit program. A total of 43 film projects applied for tax credits during the June 18–22 application period. According to the commission, these films will generate an estimated $258.2 million in qualified expenditures (defined as wages to below-the-line workers and payments for equipment/vendors) and spend a combined 602 shoot days across the state. Based on data provided with each tax credit application, they will employ 869 cast, 2,357 crew, and 23,000 extras (including stand-ins measured in man-days). In September 2014, Governor Edmund G. Brown Jr. signed bipartisan legislation to more than triple the size of California’s film and television production incentive, from $100 million to $330 million annually. The credits are aimed at retaining and attracting production jobs and economic activity across the state. The California Film and TV Tax Credit Program 2.0 also extended eligibility to include a range of project types (big-budget feature films, TV pilots and 1-hour TV series for any distribution outlet) that were excluded from the state’s first-generation tax credit program. In June, Governor Brown signed SB 871 (Committee on Budget and Fiscal Review) which extends California’s tax incentive for motion pictures and television productions for an additional five years. 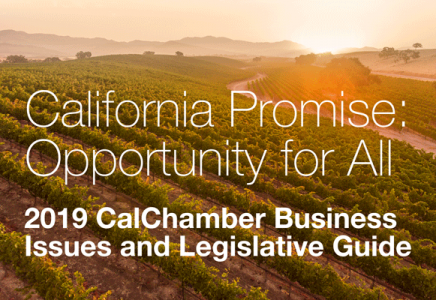 SB 871 included provisions from California Chamber of Commerce-supported job creator bills AB 1734 (Calderon; D-Whittier) and SB 951 (Mitchell; D-Los Angeles). This tax incentive has proven effective in maintaining jobs in California and growing jobs in this industry. The current program has a sunset date of July 1, 2020. However, planning for both motion picture and television productions typically occurs several years in advance, and productions rely on the certainty that the incentive will be available, as location decisions are made. The next application period for feature film tax credits will be held October 15–19. More information about California’s Film and Television Tax Credit Program, including application procedures, eligibility and guidelines, is available at http://www.film.ca.gov/tax-credit/.